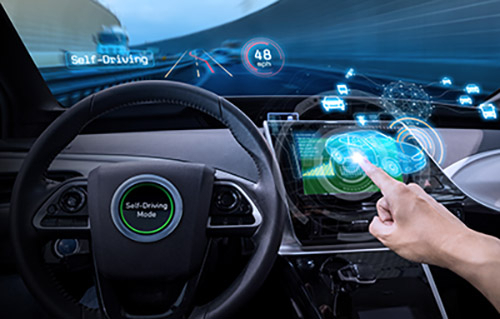 Now, we are first to admit that it’s true most new cars have more advanced technology on board than the Virgin Galactic - and all this techie goodness makes living with your vehicle a breeze - but that doesn’t mean you need to shell out hard-earned money for a brand new car. Updating your current vehicle’s technology options is easier than you think. A whole realm of aftermarket options exists to bring your car from the digital dark ages into the light, with most carrying a price tag that’s much easier to swallow than a new car loan. There are plenty of great reasons out there to want a new car, but buying an expensive piece of new sheet metal for the bleeding-edge gadgetry shouldn’t be one of them. 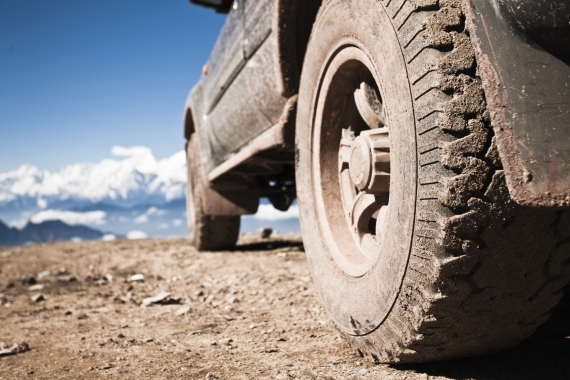 Read on for the top 5 ways to update your vehicle. 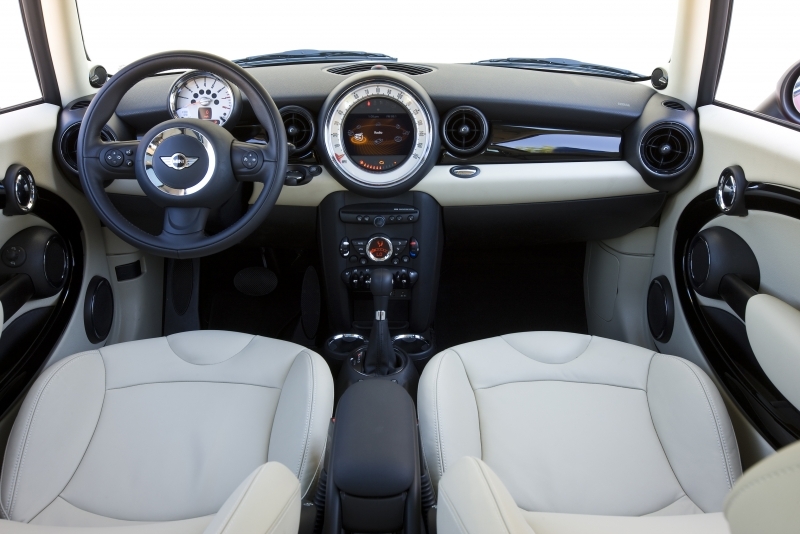 Swapping your factory sound system for an aftermarket unit can do wonders for how you live with your vehicle. The newest stereo systems usually work with all of the other tech bits you seem to have incorporated into your life. Thanks to the wonder of Bluetooth connectivity, your GPS system and cell phone can route through your car’s speakers, making for a safer driving experience. While prices for a new head unit can start as low as a $200, it’s worth it to pick one with all the features you want—including MP3 capability and Bluetooth goodness. Some companies, like Crutchfield, can do a great job helping you pick a system that will suit your needs. If you’re handy, they can even send you detailed instructions on how to install it yourself. Or, if you’re near a service center, they can install it for you. If you’re worried that your late model’s dash won’t support the slim and svelte aftermarket units you see in most cars, don’t sweat. 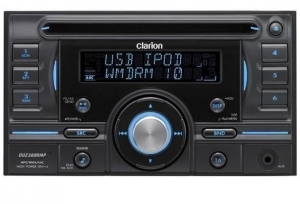 Mobile audio makers have head units to fit just about any and every car on the planet. If your current ride has a factory radio that’s much larger than your replacement, the installer can either select what’s referred to as a DIN stereo to fill the empty space, or simply use a block off plate or an extra storage area below or above your new unit for a flawless from-factory look. Of course, the best stereo in the world isn’t going to sound all that awesome with your old, worn-out speakers. While you can go ahead and replace them with OEM pieces, for about the same money you can pick up a set of high-quality, bass-heavy speakers. Again, you can pretty much spend as much as you want to here, but shopping around, reading reviews and talking to an audio specialist can point you in a direction that will work best for your needs and with your new head unit. There’s a reason that nearly every new car out there is available with some sort of navigation system - these things are incredibly handy. GPS eliminates the need to worry about printing out directions, can alert you to traffic jams and reroute you to quicker path and are great for finding entertainment, food or hospitals in an unfamiliar area. There are plenty of aftermarket GPS units that simply stick to your vehicle’s windshield, with many landing well under the $300 mark. It’s worth it to pay for a wider screen (4.3 inches diagonally is great) and a feature that reads out street names as well as turns. Remember that a Bluetooth-capable unit will mesh with your new stereo, as well. 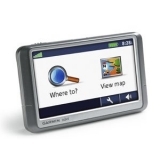 Examples like the Garmin Nuvi 265WT combines all of the great features of satellite navigation with the convenience of Bluetooth. Complete with an FM receiver that accepts traffic reports and adjusts your route accordingly, this model’s wide screen and built in microphone make hands-free calling simple as can be. The Nuvi’s even have a particularly helpful feature that displays the current road’s speed limit. Fitting your ride with a GPS is easier than you’d think. While most offer windshield-mounting options, there are dash-mount bases that simply sit in place with grippy rubber feet. Just plug the unit into an auxiliary power source or a cigarette lighter and you’re GPS equipped. Living in a part of the country with cold winters demands that you warm up your car before hitting the open road, but who wants to run outside to start the car, just to run back inside? Many modern vehicles have a remote start option that allows you to warm the engine without ever stepping foot outside. Simply push a button on a key fob and go back to drinking your coffee. Many aftermarket car alarm companies offer a system that will do the same for your vehicle. While this can be a pretty pricey option for your vehicle considering installation, it’s worth it not to have to suffer through cold, dark mornings. While it’s possible to purchase a remote start system by itself for as little as $90, uninstalled, if you live in an area with higher crime rates, most remote starts come packaged with vehicle alarms. 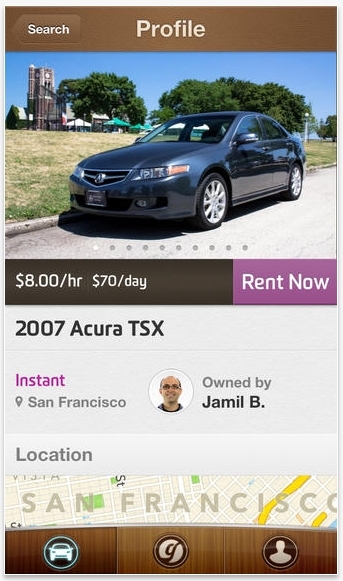 The price will jump significantly—up to $550 uninstalled—for but the extra piece of mind might be worth it. Installing the system can be very technical, so if you aren’t the handy type, it should probably be left to a professional. Whoever you choose will work with your vehicle’s stock wiring system to incorporate the remote start and alarm system, creating a product that should look like it came from the factory. If you’re already in the market for a new cell phone, it’s possible to save some money by picking up a piece like the Garmin Nuviphone or Apple iPhone. Those manage to combine all the features of a smart phone with a GPS system that can be mounted inside of your vehicle and communicate through your vehicle’s stereo. They also incorporate hands-free calling, including an option that can read out text messages. Considering that most states have either outright banned talking while driving or are working on it, it’s an upgrade worth thinking about. Smart phones aren’t cheap, but considering the multiple uses, it may be worth it. Of course, if you aren’t willing to shell out that kind of cash for a phone, other hands-free options exist for a lot less. The Bluetooth Jawbone is a stylish alternative to the bulky ear pieces we’ve seen so far, and can be had for as little as $130. You don’t have to worry about “dockingâ€ your phone with your car’s dash every time you hit the road, either. Be warned: not everyone can take advantage of a radar detector. Some states—like Virginia—have laws banning the devices, but choosing to implement one can save you some serious time in front of a judge and court costs, even if you don’t intentionally break the law. If you’re like us, you’ve probably got a few hundred things on your mind other than your vehicle’s speed. Having a device that alerts you to law enforcement can remind you to check your velocity and the speed limit in the vicinity. While cheaper models like the Whistler XTR-130 can be had for as little as $60, they may not be as sensitive as more pricey examples. The police have a number of options when it comes to determining your speed, with most using a reflected beam of energy and precise calculations to do the deed. Not all detectors are calibrated for all forms of radar. If you happen to be cursed with a lead foot, we feel your pain, but it might be worth shelling out the extra coinage for a Valentine One—arguably one of the best radar detectors on the market. Expect to pay for that extra piece of mind, though. The V1 tends to hit the market at around $500. Installation is a breeze, with most units mounting to your windshield with suction cups. A power adapter usually plugs into a power outlet or cigarette lighter, and you’re ready to hit the road.